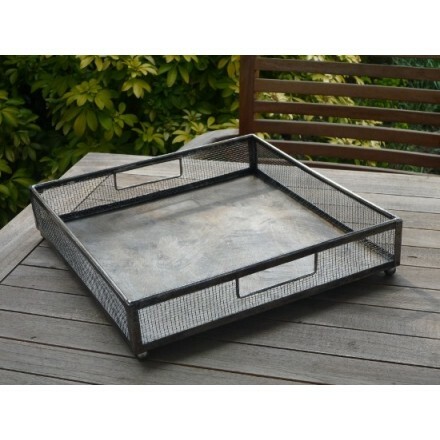 Rustic mesh pewter coloured sided tray with two cut out carry handles. Matches our mesh tray with clear votives. H8cm, W 35cm, D35cm. 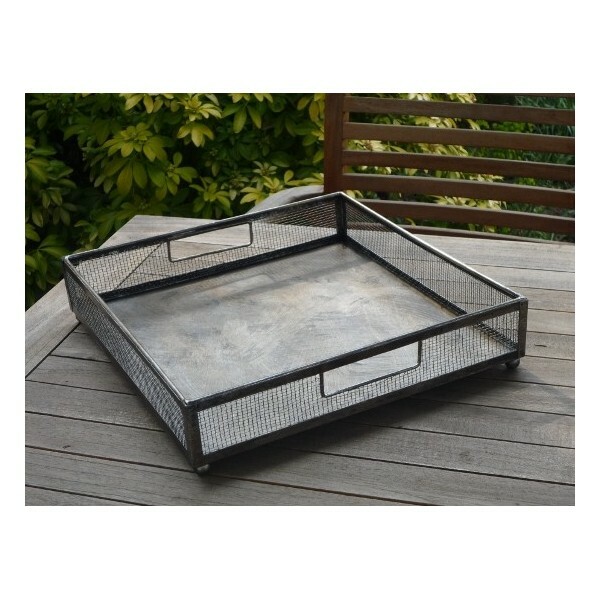 Our small mesh sided tray features rustic pewter metallic paint effect, with two perfect sized cut handles to enable you to carry this tray with ease, stands on four small spheres, one in each corner of the base. solid base for ease of transporting items. Matches our other mesh effect trays, why not co-ordinate with our mesh tray with clear votives for a co-ordinated look. Please do not leave this item outside in adverse weather conditions as it is meant for indoor use. H8cm, (approx 3 inches) W 51cm, D35cm. (approx 14 inches).